Generation Launch is an innovative program that supports migrants, refugees and new Australians in joining the Victorian startup ecosystem — creating the next generation of successful high-growth ventures in Australia. This program has three core intentions: to improve the success of migrant startups in Victoria and encourage more migrant entrepreneurs to launch their business ideas in the state; to improve outcomes for the wider Victorian startup ecosystem by supporting migrant entrepreneurs and startups in creating high-growth ventures; and to support the Victorian startup ecosystem in becoming a global leader for entrepreneurship, startups and innovation. This program is supported by LaunchVic. ​LaunchVic works in partnership with entrepreneurs, industry, business, the community and our educational institutions to strengthen Victoria’s entrepreneurial and startup ecosystem. Access to Information – Generation Launch runs various educational workshops and training seminars to support migrant entrepreneurs in gaining the transitional skills, local knowledge and hands-on experience for their startup’s success. Drawing from diverse experts across the globe, these events are designed to be super inclusive and applicable to all business ideas. Practical Experience – We provide practical ways for individuals to connect and work with existing startups, or to create a venture through existing programs and support networks in Victoria. 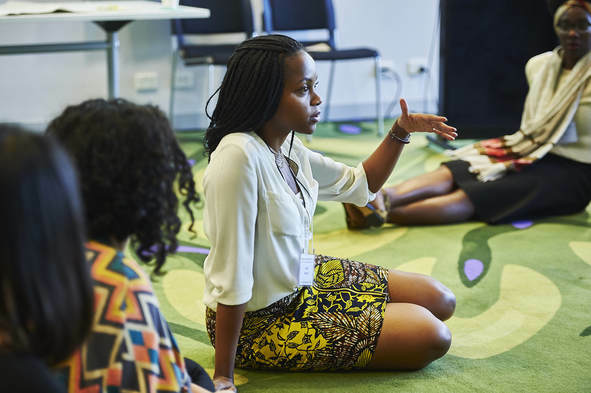 Networks – We help to expand connections through a series of events, while also sharing stories of success and role models that are far more diverse than the usual faces. We aim to support a diverse group of entrepreneurs across Victoria to thrive. 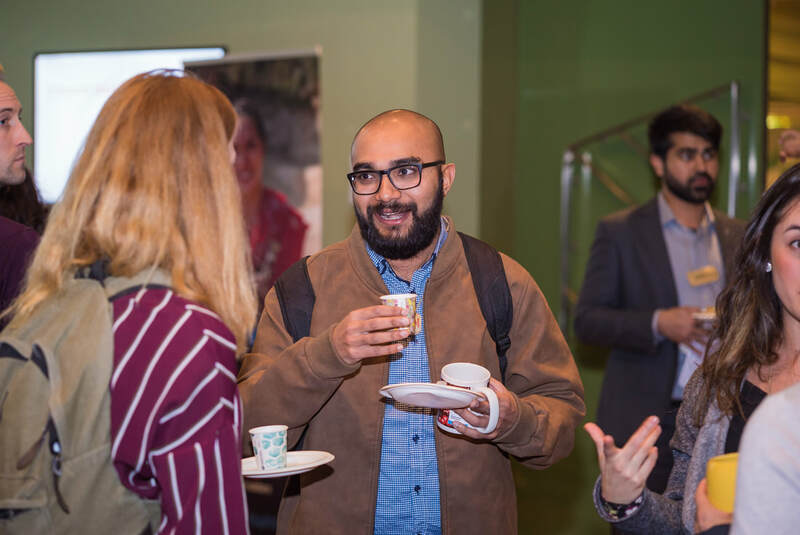 Generation Launch recognises that to create real change and to support migrant entrepreneurs, there needs to be a range of activities that support a wide pipeline of engagement. With this in mind, we have created a diverse calendar of events that are designed to be inclusive, multi-disciplinary and interactive. Here’s a breakdown of our most recent events in 2018. We believe networking is much deeper than often thought; it requires key skills and enables one to achieve their intended outcomes in the business and employment communities.This particular event aims to raise awareness among the participants of what effective networking is, and offers them tips and tricks for effective networking strategies that suit their personal goals. This event is a collaboration of the Asylum Seeker Resource Centre with Unbound and LaunchVic. Food and drinks will be provided. Please note, parking availability may be limited. Initiating strategic partnerships is key to the long-lasting growth and success of university clubs & societies, but club/society student leaders often find it difficult to pinpoint the 'right' kind of partners to approach, and even when they get this far, many still don't know how to start a meaningful conversation with potential partners, let alone formalise a partnership agreement! Are you student leader with the drive to take your club or society to the next level? If so, you're in luck! It's time to learn the tools for initiating and leveraging strategic partnerships that will deliver real benefit to your members. Unbound Ideas is our major event co-designed with the Victorian startup ecosystem and various cultural, ethnic and refugee community groups. The first annual Unbound Ideas event was located and held in collaboration with RMIT University in the Melbourne, CBD on August 20th, 2018. The event was a deep dive into new ideas and how to bring them to life. With exceptional speakers, facilitators and great food, this was a diverse, inclusive and community-building activity covering a range of topics and themes: Introduction for Startups; Transitioning Skills for Impact; Inspiring Migrant Stories; Social Enterprise and Business for Social Impact; Learning from Failure; Communications, Marketing and Telling the Story; Wisdom in Unusual Places – Startup Advice from People that aren’t in Startups; and Leadership, Team and Community Building. The Generation Launch is a collaboration with Victorian educational institutions to embed startup skills – designed to engage and support migrant entrepreneurs – into existing educational programs and extra-curricular programs (such as university accelerator and incubators). ​Unbound has strong existing collaborations with Victorian-based institutions and will implement entrepreneurship content into these programs, to help build the skills and interest in startups across the state. This will be developed through practical and interactive case studies of innovative foreign-born entrepreneurs and global ventures; as well as guest lectures; and workshops. We will collaborate with local experts and support them with practical skills and programs to support migrant entrepreneurs. Unbound will be delivering education activities supporting migrants across RMIT University, University of Melbourne, Monash University, Swinburne University, and other educational organisations, which we will build on to integrate these programs into existing courses and in collaboration with associated groups (entrepreneurship programs, clubs and incubators). If you want an Unbound speaker or facilitator to present at your institution or group, please contact us below. One of the best ways to learn and build the practical skills for launching a successful high growth venture is to actually do it! The Startup Intensive Program provides university students with unique internship opportunities in some of Melbourne most innovative new startups. 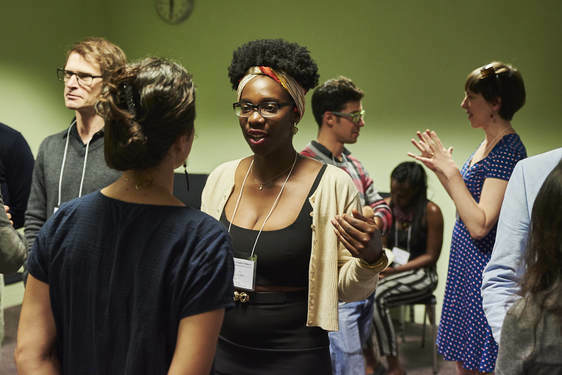 As part of the Generation Launch program, the intensives specifically focus on the placement and mentoring of new migrant, refugee and international student interns. The program structure will give students hands-on experience in real startup projects and challenges where they will gain personal insights into running a successful startup venture, and gain connections to the Victorian startup ecosystem. Students may conduct vital market research, lead product prototyping, facilitate user feedback forums, create marketing plans, manage projects or launch events, and obtain a wide variety of essential skills and networks for bringing their own start-up venture idea to life. Additionally, students will receive credit or work experience hours as part of their work-integrated learning subjects and work experience requirements. This will make working in startups a real option for graduates – rather just pursuing a corporate career path. Throughout these intensive placements, Unbound will also work closely with Victorian startups to support interns and professional work placements - providing some structure, mentorship and feedback to assist this process. Victorian startups involved in the program will benefit from having passionate and skilled interns supporting the growth and success of their ventures, thus building a more diverse and vibrant ecosystem overall. For students participating as part of their degree requirements, all placements are generally unpaid. This ensures that placements are primarily viewed as a learning experience and allows individuals to be covered by their institutions policies and insurances. All Startup Intensive placements also comply with Fair Work Australia rules, university guidelines and best practices in Work Integrated Learning. The program’s first pilot will be launched in November 2018, in partnership with Monash University’s Work Integrated Learning (WIL) program. 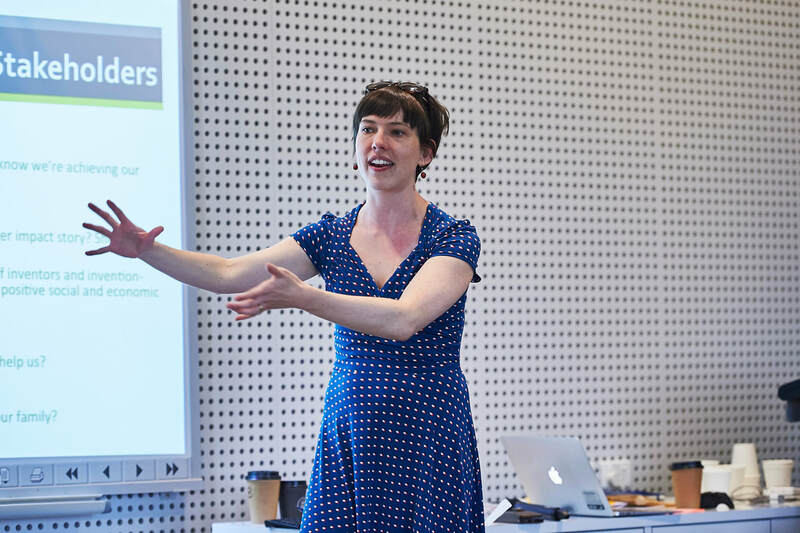 If you coordinate university placements at your institution, or if you're a student seeking a placement opportunity with one of our startup partners, please get in touch with Brittany at brittany@unbound.edu.au to discuss potential partnerships and pilot programs in 2019. If you’re a startup founder and would like to host a student intern to help grow your business, please get in touch with Brittany at brittany@unbound.edu.au for more information.